Bimal Roy has the record of winning most Awards 7 and distinction of winning the Award thrice in a row, on two separate occasions (1954–1956 and 1959–1961). He won the Award whenever he was nominated. Yash Chopra, Raj Kapoor and Sanjay Leela Bhansali have received the Award four times each. Yash Chopra received 12 nominations, while Raj Kapoor and Sanjay Leela Bhansali have received 6 nominations each. Mahesh Bhatt was nominated thrice in a row (1984–1986). However, he hasn't received any Award even after receiving 6 nominations. Also, no Director has ever won if one has been nominated twice in the same year – Gulzar in 1974, Basu Chatterjee in 1977 and Hrishikesh Mukherjee in 1980. Sai Paranjpye was the first of four women to have won this Award, the second being Zoya Akhtar, the third being Ashwiny Iyer Tiwari, and the fourth being Meghna Gulzar. Sai Paranjpye won it for Sparsh in 1985. Paranjpye had earlier been nominated for Chashme Buddoor in 1982. Zoya Akhtar won it for Zindagi Na Milegi Dobara in 2012. Ashwiny Iyer Tiwari won it for Bareilly Ki Barfi in 2018. And Meghna Gulzar won it in for Raazi in 2019, after previously being nominated in 2016 for Talvar. Other women Directors to have been nominated are Mira Nair for Salaam Bombay! in 1990, Farah Khan for Main Hoon Na in 2005 and for Om Shanti Om in 2008, and Gauri Shinde for English Vinglish . Sai Parānjpye is an Indian movie director and screenwriter. She is the director of the award-winning movies Sparsh, Katha, Chasme Buddoor and Disha. She has written and directed many Marathi plays such as Jaswandi, Sakkhe Shejari, and Albel. Zoya Akhtar is an Indian film director and screenwriter. After completing a diploma in filmmaking from NYU, she assisted directors such as Mira Nair, Tony Gerber and Dev Benegal, before turning writer-director in her own right. Ashwiny Iyer Tiwari is an Indian filmmaker and writer. After working in advertising for several years, she made her debut by directing the 2016 comedy drama Nil Battey Sannata. The film garnered critical acclaim and Tiwari went on to direct its Tamil remake entitled Amma Kanakku. She had previously served as the Executive Creative Director at Leo Burnett before she moved on to pursue a filmmaking career. Tiwari won the Filmfare Award for Best Director for the 2017 comedy Bareilly Ki Barfi. Ghayal is a 1990 Indian action drama film starring Sunny Deol and Meenakshi Seshadri. The film was produced by Dharmendra and directed by Rajkumar Santoshi in his directorial debut. The film won seven Filmfare Awards, including the Best Movie award. Ghayal clashed with Aamir Khan's Dil. Ghayal did very well at the box office; it was rated a "Super Hit." It was also the second highest grossing Bollywood film of 1990. Ghayal was remade in Tamil as Bharathan in 1992 with Vijaykanth and Bhanupriya in lead roles, in Telugu as Gamyam in 1998 with Srikanth and in Kannada as Vishwa with Shivarajkumar and Suchitra Krishnamurthy. Sunny Deol received the National Film Award- Special Jury Award. Nitesh Tiwari and Ashwiny Iyer Tiwari are the only married couple to win the award. Nitesh Tiwari won the award for Dangal in 2017 and Ashwiny Iyer Tiwari won the award for Bareilly Ki Barfi in 2018. Nitesh Tiwari is an Indian film director, screenwriter, and lyricist known for his works in Bollywood. He made his directorial debut by co-directing Chillar Party (2011) which won the National Film Award for Best Children's Film for that year. He then directed the supernatural political drama Bhoothnath Returns (2014) which became a box office hit. Dangal is a 2016 Indian Hindi-language biographical sports drama film, directed by Nitesh Tiwari and produced by Aamir Khan, under his studio Aamir Khan Productions with UTV Motion Pictures and Walt Disney Pictures India. The film is loosely based on the Phogat family, telling the story of Mahavir Singh Phogat, a pehlwani amateur wrestler, who trains his daughters Geeta Phogat and Babita Kumari to become India's first world-class female wrestlers. Aamir Khan stars as Mahavir Singh Phogat, while Fatima Sana Shaikh and Sanya Malhotra portray the adult versions of the two Phogat sisters, Zaira Wasim and Suhani Bhatnagar their younger versions, Sakshi Tanwar their mother, and Aparshakti Khurana their cousin. Bareilly Ki Barfi is a 2017 Indian romantic comedy film, directed by Ashwiny Iyer Tiwari. The film stars Kriti Sanon, Ayushmann Khurrana and Rajkummar Rao. It was released worldwide on 18 August 2017. The film turned out to be both a critical and a commercial success at the box office. The story is based on the French novel The Ingredients of Love, written by Nicolas Barreau The film got eight nominations at the 63rd Filmfare Awards, including Best Film, Best Supporting Actress for Seema Pahwa and won Best Director for Tiwari and Best Supporting Actor for Rao. The movie completed 70 days in theater in most centres all over India. Only once have two siblings been nominated in the same year; Zoya Akhtar and Farhan Akhtar in 2012. 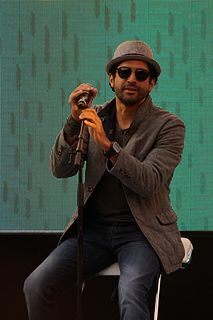 Farhan Akhtar is an Indian film director, screenwriter, actor, playback singer, producer, and television host. Born in Mumbai to screenwriters Javed Akhtar and Honey Irani, he grew up under the influence of the Hindi film industry. He began his career in Bollywood by working as an assistant director in Lamhe (1991) and Himalay Putra (1997). The following Directors have received multiple Best Director nominations. The list is sorted by the number of total awards (with the number of total nominations listed in parentheses). In the list below, the winner of the award for each year is shown first, followed by the other nominees. The films are listed by the years when the award was presented. The announcing of nominations became regular after 1959. Mira Nair – Salaam Bombay! 1995 Sooraj Barjatya – Hum Aapke Hain Koun..! Rajkumar Hirani – Munna Bhai M.B.B.S. Neeraj Pandey – A Wednesday! Abhishek Kapoor – Kai Po Che! Filmfare Critics Award for Best Film is award during annual Filmfare Awards, given by the Filmfare magazine. 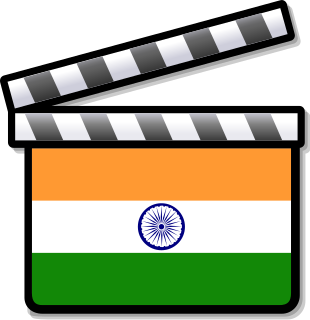 The awards are the oldest and most prominent film awards given for Hindi films in India. The yearly awards started in 1954. Movie awards were first given by popular vote. Many complained that films of artistic merit rather than commercial appeal were being overlooked, hence a new award category was added, the Critics Award for Best Film. The Filmfare Award for Best Story is given by Filmfare as part of its annual Filmfare Awards for Hindi films, to recognise a writer who wrote a film's story. The 42nd Filmfare Awards were held in 23 February 1997, in Mumbai, India. Khamoshi: The Musical and Raja Hindustani were the biggest winners of the night, with 5 awards each. The former film won the critics' awards for best film for Sanjay Leela Bhansali and best actress for Manisha Koirala while the latter film's stars Aamir Khan and Karishma Kapoor won their first award for performance in a leading role. The 36th Filmfare Awards were held in 1991. Sunny Deol starrer Rajkumar Santoshi's action film Ghayal dominated the awards, winning in many major and minor categories, including Sunny Deol's and Rajkumar Santoshi's first wins in the Best Actor and Best Director categories respectively. Gold Award for Best Television Show (Fiction) is an award given as part of its annual Gold Awards for Indian television, to recognize the most popular fiction show of the year.